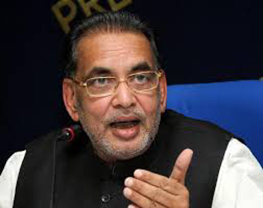 The Union Minister of Agriculture and Farmers Welfare, Shri Radha Mohan Singh and Minister of Business, Enterprise and Cooperatives, Govt. of Mauritius, ShriSoomilduthBholahsigned on MoU for Cooperation in the field of Cooperatives & related areas in Delhi on January 16. The MoU will enable the two countries to collaborate in this vital sector and can significantly benefit thousands of Mauritians.India offered to exchange its expertise and technology with Mauritius in agro industry, fisheries and dairy sector.